Is that the same as the grape used in the sparkling wines of the Rhône? Shouldn’t that be pronounced “klar-AH”??? In the best of all possible words, all of the above are true (I appreciate sassy students). In light of all this, I think that the clairet-claret-clairette topic is an excellent one for my “Confusion Corner” series. So here goes, let’s clarify this cluster! Claret: Claret (pronounced KLAR-eht in French and klerət in English) is an old-timey English term used to refer to the red wines of Bordeaux. Over time, it also morphed into use for a particular style of red wine defined loosely as higher-in-tannin or “drier” than red Burgundy. 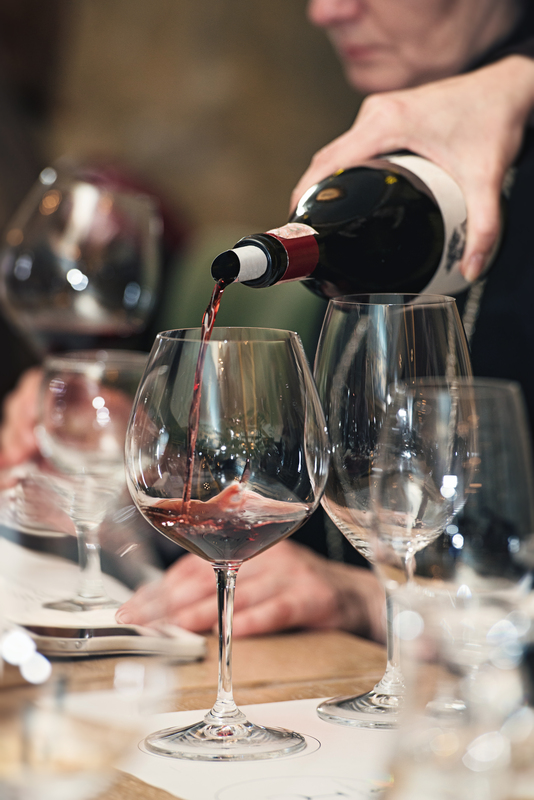 It is believed that the use of the term claret, based on the terms vin clar or vin clarum—meaning something akin to pale wine or clear wine— came about due to fact that in the early days of the wine trade, Bordeaux red was a much lighter wine than the deep reds of today’s Bordeaux. These early Bordeaux reds were quite pale in color (similar in appearance to a “dark rosé” produced today). In the official documents for the Bordeaux AOC—the Cahier des charges de l’appellation d’origine contrôlée Bordeaux—the term is mentioned in the following manner: La mention “claret” est réservée aux vins rouges (google-translated as “The word ‘claret’ is reserved for red wines”). 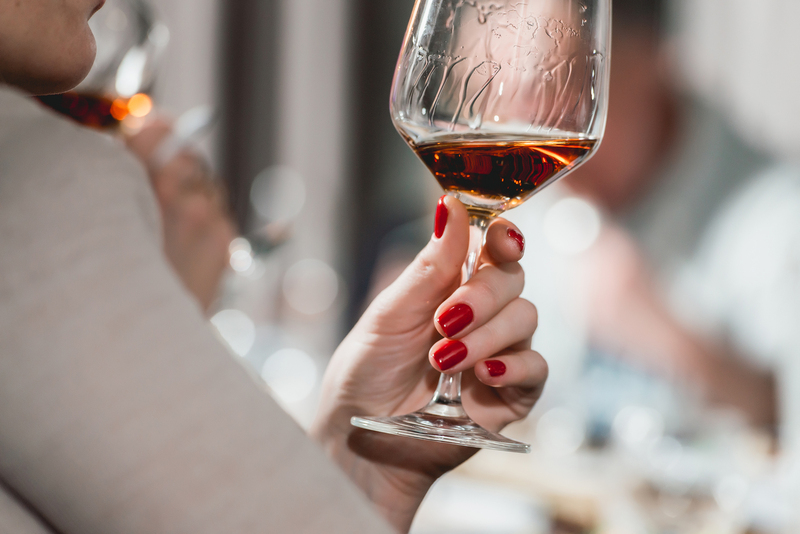 Note that the term “claret” is listed as a descriptive term, and that the official name of the wine is some variation of “Bordeaux AOC” (or one of the many other AOCs used for the red wines of Bordeaux). The term claret is sometimes used, as a sort of proprietary name, on New World wines based on the red grapes of Bordeaux, as seen here on Becker Vineyards Texas Claret (a classic Bordeaux-style blend of Cabernet Sauvignon, Merlot, Cabernet Franc, Malbec and Petit Verdot). Clairet: The term “clairet” is also considered a historical term, but in modern times it has a distinct definition as being a defined style of “dark rosé” Bordeaux AOC wine. The Cahier des Charges for the Bordeaux AOC even lists specific standards for Bordeaux Clairet for such particularities as residual sugar, volatile acidity, and total sulfur dioxide—and in some aspects they are clearly distinct from those required for those wines defined as “rosé” as well as “rouge.” Bordeaux Clairet is typically fermented on the skins for anywhere from 24 to 48 hours. On the official documents for the Bordeaux AOC— the Cahier des charges de l’appellation d’origine contrôlée Bordeaux— the term is mentioned in the following manner: La mention “clairet” est réservée aux vins rosés foncés (google-translated as “The word ‘clairet’ is reserved for dark rosé wines”). Clairette: If you guessed this thing is not like the others, you are absolutely right! Clairette (pronounced somewhat universally as KL-ERRehT) is a white vinifera grape, native to the south of France and used in a variety of wines throughout the Languedoc, Rhône, and Provence. 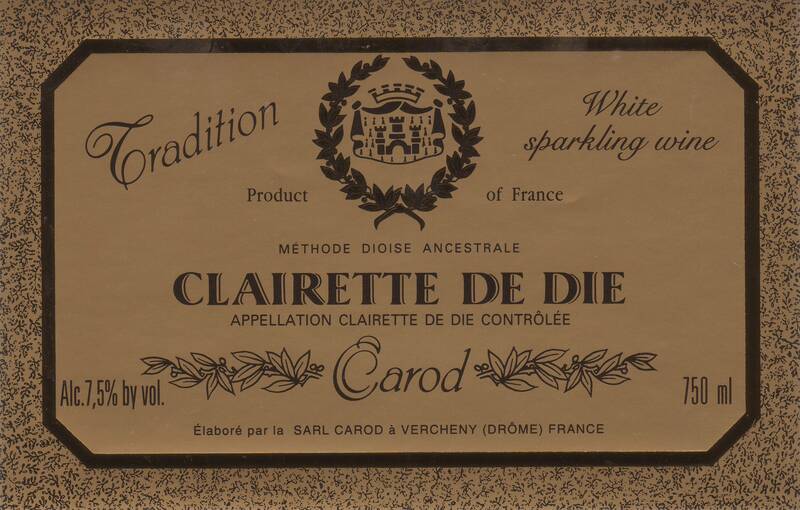 Its most famous incarnation is quite possibly as the star of the sparkling wines of the Clairette de Die AOC, as well as (along with Muscat à Petits Grains) the slightly sweet, slightly fizzy Clairette de Die Méthode Dioise Ancestrale. Clairette is also one of the13 or 18 (depending on how you count them) grapes allowed in the Châteauneuf-du-Pape AOC blend—which allows for both the typical Clairette Blanc version as well as its color-mutation-cousin, Clairette Rose. Bonus clarification: Clarete (pronounced cla-re-te) is a Spanish term (also somewhat old-timey) used to describe dark rosé or light red wines (something between a rosado and a tinto). It has no “official” definition or appellation, but is a useful descriptive term. Herbst, Ron, and Herbst, Sharon Tyler: The New Wine Lover’s Companion. Hauppauge, New York, 2003: Barron’s Educational Series.